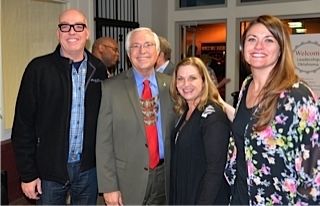 March 2014 E-News - Leadership Oklahoma, Inc. I had the privilege of sitting in on class sessions the past two months, which were held in Tulsa and Tahlequah. The Tulsa topics were health and human services, which had an expert lineup of speakers from around the state – Dr. Gerry Clancy, President of OU-Tulsa and Dean of the OU School of Community Medicine, Terri White - Commissioner of the Oklahoma Department of Mental Health and Substance Abuse Services , Terry Cline – Oklahoma Health Commissioner, just to name a few. 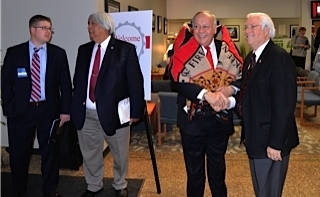 This month in Tahlequah, I listened to Governor Anoatubby of the Chickasaw Nation, Principal Chief Baker of the Cherokee Nation, Principal Chief Harjo of the Seminole Nation of Oklahoma, and Principal Chief Tiger of the Muscogee Creek Nation. To have such extraordinary speakers at nine different venues is an opportunity available only through Leadership Oklahoma. This and other amazing opportunities are made possible by the LOK network of 1,330 graduates, who utilize their network of contacts to attract such high caliber presenters. Leadership Oklahoma class sessions are a very highly sought out venue for organizations to spread the message about the issues and opportunities in our state. It is imperative that we continue these unique educational experiences. 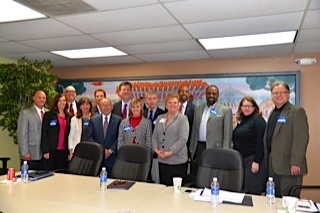 The best way to do that is to assure that we can continue to attract and admit the very best leaders from Oklahoma to upcoming classes, in order to keep the LOK member network strong. You can do your part to strengthen LOK by following up with those you have recruited to apply for next year’s class, and make sure they have submitted their application. Sometimes an encouraging nudge is the difference between gaining or losing a great applicant. We are in the final two weeks before the application deadline, and I ask you to make that phone call or send an email to encourage a candidate to complete and turn in their application. What is special about April 1? And how is it related to LOK? April 1 is celebrated in many countries, even though it is not a national holiday, as a day of fun and practical jokes. Unlike most of the other non-foolish holidays, the history of April Fool's Day, sometimes called All Fool's Day, is not totally clear. There really wasn't a "first April Fool's Day" that can be pinpointed on the calendar. Some believe it sort of evolved simultaneously in several cultures at the same time, from celebrations involving the first day of spring. Who really knows how it came to be but we all think of it as FUN. What else do we think of as fun? Of course it is our LOK experience and we have a special way of celebrating! April 1 is the deadline for submitting applications for perhaps the most fun educational experience available in Oklahoma. It is the deadline for Class XXVIII applications. As we think about how to celebrate this special day, decide to share the fun with someone from your region of the state and recruit a new member. Applications for Class XXVIII can be found by clicking here. Completed applications are due in the LOK Office at 5:00pm on April 1, 2014. Ok, I know it was a stretch, but your help with identifying the top applicants for the next LOK class is needed. Thank you for your support of LOK! On behalf of the Recruiting Committee, we are counting on you to help identify potential members for the next "best class" for Leadership Oklahoma. These last couple of weeks before the application deadline is the best time for a final push to contact great candidates. As you know how it is in your lives, it seems people have become so busy this time of year, they wait until the last minute to get their applications completed. Remember how fired up you were during your LOK experience? And how excited you were to meet your fellow class members? And how it has left an indelible mark on you for the years since? Please share this great opportunity and ignite the passion for our state with those in your circles of influence--think about individuals in your office, in your civic organizations and those you serve on boards with--and be the spark! Please invite good candidates to apply and help them through the application process. We on the Recruitment Committee appreciate each and every one of you for making Class XXVIII almost as good as the class you were in! You can also work with this year's recruitment team to identify applicants. We are pleased to have the following individuals who have stepped up and volunteered their time to get the word out. Applications for Class XXVIII are due in the LOK office by 5:00 p.m. April 1. You can send applicants to www.leadershipoklahoma.com to download the application. »Mark Your Calendar and Get Signed Up! Leadership Oklahoma has confirmed dates for several upcoming events. Please double-check dates, locations and agendas in the details below as some have changed. Everyone Leads – Building Leadership from the Community Up! With decades of experience finding, recruiting and training diverse young leaders across the country, Public Allies CEO Paul Schmitz has encapsulated many of his greatest insights and lessons in the book Everyone Leads: Building Leadership from the Community Up. Paul has traveled the country to deliver hundreds of talks and workshops about the lessons of leadership, diversity, and community service. He provides an empowering new definition of what leadership is: an action someone takes, not a position someone holds. Paul uses inspiring stories and interactive exercises to engage audience members to reflect on their own leadership journeys; think differently about their and others’ leadership possibilities; and explore five values essential for leaders to practice in order to bring people and groups together to create better solutions. LOK is sponsoring this series and would like to invite you to this event! LOK members will be given the OCNP member rate of $90 which includes lunch. Both sessions will be from 10:00 a.m. - 2:00 p.m.
Oklahoma City - Wednesday, April 16, 2014, Will Rogers Theatre, 4322 N. Western Ave.
Tulsa - Thursday, April 17, 2014, OSU – Tulsa North Hall, Room 150 700 N. Greenwood Ave.
For details and to register, visit the Oklahoma Center for Nonprofits website or call (405) 463-6886. "Wat-er You Doing with Water Altus!" Friday, April 18 and Saturday April 19. NOTE: The agenda for this event has changed. See details below. The Altus Alumni invites you to learn about water issues and its impact. This overnight event will begin mid-morning Friday, April 18 at the Cotton Growers CO-OP, 1509 W. Broadway St., Altus, OK 73521. The LOK group will be traveling to various places during the day, attendees must be at the CO-OP no later than 11:00 a.m. The group will experience the cotton production process and enjoy a box lunch provided by the Altus Alumni. Friday afternoon will be spent viewing and discussing water infrastructure, touring the Altus dam at Lugert and the irrigation district below it, and other current issues related to water in Oklahoma. Members will then be able to check in at Quartz Mountain Resort Arts and Conference Center and enjoy dinner provided by the Altus Alumni. A question and answer session and member conversations will close the day. Click here for a detailed agenda. There is no official program on Saturday. Attendees spending the night can enjoy their morning and head home at their leisure. Register for the Altus member event here or by contacting the LOK office at 405.848.0001 by April 11, 2014. The cost is $10 per person (LOK member and a guest). You can now book your room at Quartz Mountain! Call 580.563.2424 and ask for the LOK Group block of rooms. The rate is $89 per night and includes a continental breakfast on Saturday morning. They have extended that rate Thursday evening through Saturday evening should you decide to spend another night at the lodge. Since the Holiday Celebration was canceled due to bad weather, LOK is having a summer party! Tulsa Mayor Dewey Bartlett (Class II) and his wife, Victoria, have graciously offered to host the event at their home in Tulsa. LOK members and their guest will enjoy food, beer, wine and great conversations with fellow members. It is a come and go event from 5:30 - 8:30 p.m. It's time to Save the Date for a great educational opportunity. The 2014 LOK Fall Forum will be held Tuesday, October 7 from 1:30 p.m. – 9:00 p.m at the Devon Tower. Online registration will be open later this summer. Due to limited seating, reservations for the attendees will only be complete with payment. Interested in helping plan the Fall Forum? If you would like to be a part of the Fall Forum planning committee, please email Allyson Carson. The Fall Forum Chair is Mark Williams (Class XXV) and current committee members are Chad Alexander (Class XXV), Carolyn Stager (XIII), Brent Kisling (XVI), Ted Streuli (Class XXIV), Xavier Neira (Class XXV), and Clayton Taylor (Class III). A special room rate has been arranged with the Colcord Hotel in downtown Oklahoma City. 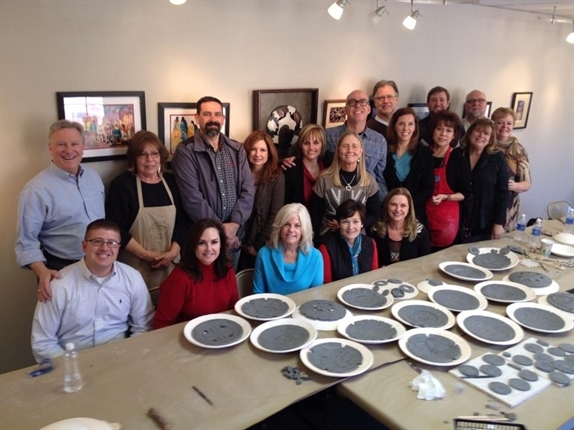 LOK members can contact the Colcord at 405.601.4300 for a special group rate of $130. Just mention the LOK Group when reserving your overnight stay for the Fall Forum. Class XXVII spent part of last week in beautiful Tahlequah as the Cherokee Nation hosted the Tribal Government and Water Issues session. Class members had the opportunity to learn about the fascinating tribal history within our state as well as the concept of sovereignty. 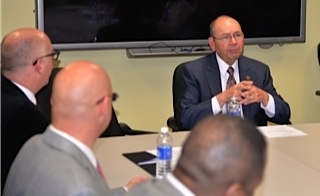 Once again, our tribal leaders (four of the five Civilized Tribes) took the time to spend their Friday afternoon with class members in small group settings so there could be interaction with the tribal leadership. Class members were provided the opportunity to ask questions of the leaders as well as hear some historical and cultural aspects of their tribes. 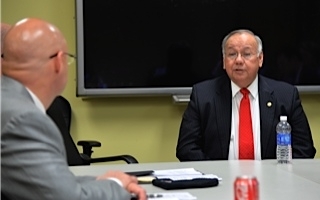 Issues they have faced historically and presently were also included in the discussions. What a tremendous privilege it is for LOK to continue to be provided this unique opportunity and many times I heard class members commenting on what a learning opportunity it had been for them. 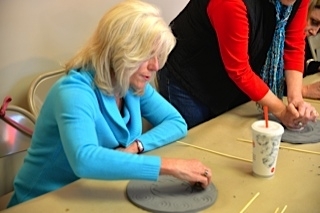 Optional activities included interactive Cherokee Art through a hands-on experience with pottery. 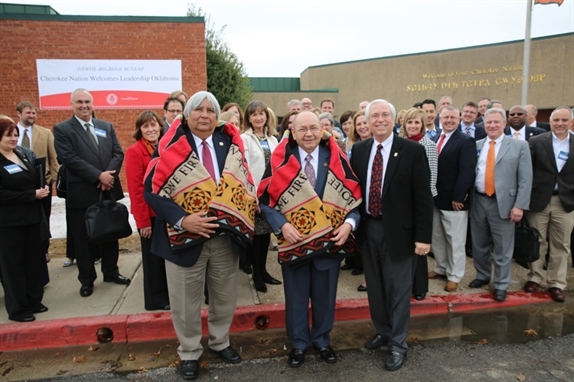 Others chose the Removal historical session which highlighted the 175th Anniversary of the Trail of Tears arrival in Oklahoma. Several said this session helped set the framework for the Friday session on tribal government and provided much insight on the issues around the removal. Class members were hosted by a lovely City of Firsts reception that evening as well. A panel discussion on Tribal-State Compacts (gaming, motor fuels, tag, tobacco, fishing) was presented and it was extremely well done. I have had the opportunity to hear this presentation on several occasions and this was one of the best I have heard. 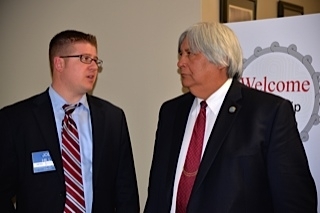 Tribal Sovereignty and Federal Law were also presented and the topics were revisited again in some of the leader discussions on Friday afternoon as it is obviously significantly interwoven within tribal history as well as present day issues. 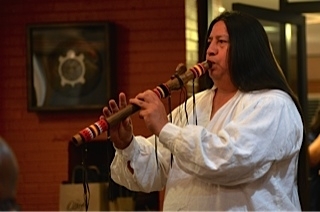 A dinner hosted on Friday evening provided the opportunity to be engaged with Cherokee culture through traditional storytelling, music, and dance. What a rich heritage we enjoy through our tribes and how exciting it is to see people observing or taking part in these traditions for the first time. Many laughs but, more importantly, a tremendous learning and bonding experience as we all enjoy, to at least some degree, in LOK. The Cherokee Nation provided the class the opportunity to take part in a traditional water ceremony on Saturday morning. It was a moving experience for many and provided the framework to focus on the next topic of the precious resource of water. 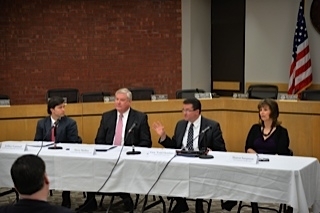 As I have heard before, and we know this applies to most topics highlighted by LOK, we could have spent the full session on the complexities of the water issues. Class members were given some very interesting insights on how important this issue is as well as a desire to learn more. A theme that emerged from this session is that this class sees their time together coming to an end soon and as the issues we face as a state are presented, class members are feeling empowered to take action. LOK members strive to instill this empowerment into each class member and it has happened again. This class is a wonderful group of leaders in our state and I am privileged to have been on this journey with them. I anticipate they will find a way to positively impact this wonderful state we call home. April 1, 2014: Deadline: LOK Class XXVIII applications due in the LOK office no later than 5:00 p.m.
Aaron Brownlee (Class XVII) is part of an Enid team that will compete in season eight of Fireball Run: America’s Frontier in September. Eric Eissenstat (Class X) has been elected to the YMCA of Greater Oklahoma City board of directors. Roger Gaddis (Class XXV) was honored with the Outstanding CPA in Financial Planning Award from the Oklahoma Society of Certified Public Accountants. 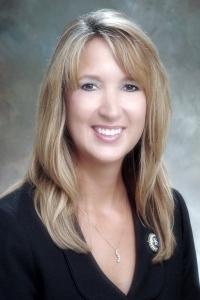 Debby Hampton (Class XIV) has been accepted into the United Way Executive Leadership Development Program. Joe Howell (Class II) has been elected vice president of the Western Veterinary Conference. Cliff Hudson (Class III) was presented the Georgetown University Alumni Association’s John Carroll Award. Brad Krieger (Class XXV) has been reappointed to the State Banking Bard by Governor Mary Fallin. Robert D. Nelon (Class VI) was honored by the Community Literacy Centers with the Literacy Legend award. David Rainbolt (Class I) has been elected chairman of the Dean McGee Eye Institute’s board of trustees. Loise Washington (Class V) has been reappointed to the Eastern Oklahoma State College board of regents. Below are member contact information changes received between February 16, 2014 and March 15, 2014. For a listing of ALL directory changes since the 2013-2014 Membership Directory was printed (July, 2013) please click here. XXIV • James Hess, Ed.D.